The Gilbert Indians defeated Emerald 8-0 in playoff action Monday night. The loosing pitcher was Kevin McKenna. Kevin threw 4 innings before giving way to relievers Matthew Quarles and John Woolston. Viking pitchers surrended 5 earned runs on 8 hits and 4 walks in 6 innings. Leading the offense for the Vikings were Cooper Mullet, Dillon Loggins, and Derek Moore. Emerald recorded 5 hits in the game but were unable to push any runs across. 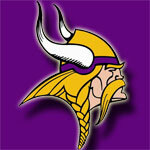 With the loss the Vikings are elimentated from the playoffs with a playoff record of 1 win and 2 losses. The Vikings left Eau Claire with a 12-0 victory Saturday afternoon to advance to the next round of the playoffs. Winning pitcher for the Vikings was Derek Moore. Derek threw 7 scoreless innings while walking only 2. Leading hitters were John Woolston and Holden Humphreys. The Vikings next game will be at Gilbert at 6:30. The Emerald Vikings lost their first round playoff game to Chesnee 8-0 Thursday night. John Woolston (3-3) took the loss for the Vikings. John gave up 8 runs (4 earned) over 6 innings while striking out 5. Leading hitters for Emerald were Dillon Loggins and Riley Detreville. The Vikings will next play Eau Clair, who was defeated by Gilbert 11-0 in their round 1 matchup. Game time is scheduled for Saturday @ Eau Clair at 12:00. The Emerald Vikings finished their season with a pair of victories to earn its way into the state playoffs. First, the Vikings defeated region foe Abbeville by a score of 11-5 to earn a birth into the 2-AA state playoffs. John Woolston (3-2) threw 7 innings to pick up the win while Derek Moore, Riley Detreville, and Cooper Mullet helped to provide the offense. After earning its playoff bid versus Abbeville the Vikings went on to finish their season strong at home on Senior Night versus Strom Thurmond. The Vikings scored 2 runs in the bottom the first off an Austin Depree single and 1 run in the 5th on hits by Matthew Quarles, Derek Moore, and John Woolston. Moore recieved the start on the mound and gave up 3 unearned runs over 3 innings. Pitchers Matthew Quarles, Eric Clark, and Hunter Dysart combined to throw 4 scoreless innings keep the game close. In an exciting finish Emerald's John Mulkey hit a walk-off single to score John Woolston with 2 outs in the bottom of the 7th to give the Vikings the victory. Hunter Dysart (1-0) recorded his first win of the season and the Vikings finished their 2009 regular season with an overall record of 8-9. The Emerald Vikings (0-1) were defeated 3-1 by 96 at Viking Park in varsity baseball action on Thursday night. After getting down 1-0 early, the Vikings tied the game at 1-1 in the bottom of the 1st on a Derek Moore homerun to deep centerfield. John Woolston pitched 7 strong innings for the vikings but was unable to come away with the victory.